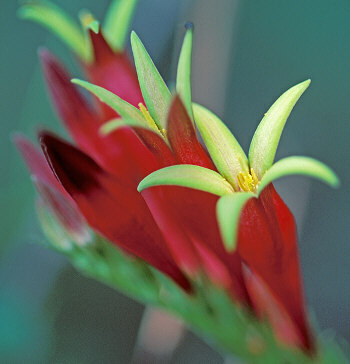 The Indian Pink’s (Spigelia marilandica) summer flowers are brilliant red and tubular with canary yellow throats and can be found in rich, moist woods and streambeds in the greater southeastern United States. It was used by the Cherokee and other American Indian tribes as a ritual and ceremonial herb to induce visions and foretell the future. This year’s photograph was taken by Robert Kemmerlin of Savannah River Nuclear Solutions’ Environmental Compliance and Area Completion Projects Department.